All Tutorials / Tagged with "animation"
With Yuzhe Flash Decompiler, you can extract flash elements easily. And to know how many elements and which elements in one flash is also simple for you. Introduction to Flash - What is Flash? Learn about what exactly Flash is, and what advantages there are in learning it! If you need any help whatsoever, PM me. I don't bite. Plus, I am willing to help you with whatever you don't understand. Learn how to make those cute little corners you see in a lot of animated icons. Learn how to animate an object so it changes colors. 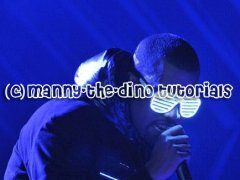 Learn how to make my animated Manny Santos of Degrassi icon. I will try to teach you how to make an animation out of any pictures using the GIMP!